BUTTERWORTH: Sixty years of collaboration between the Royal Malaysian Air Force (RMAF) and Royal Australian Air Force (RAAF) has resulted in the two forces becoming strong strategic partners for the regional defence and security. Chief of RMAF, General Tan Sri Affandi Buang said, the long term relationship has proven that both parties are reliable and trustworthy for securing the regional peacefulness. “What is seen today is a manifestation of the high commitment between the RMAF and RAAF through its strong diplomacy and bilateral cooperation between the two countries in the military and many other aspects,” Affandi said in a media conference on Friday. He said that after inspecting a military parade alongside with Chief of RAAF, Air Marshal Leo Davies. The parade was held in commemorating the 60th Anniversary of RAAF in Malaysia. 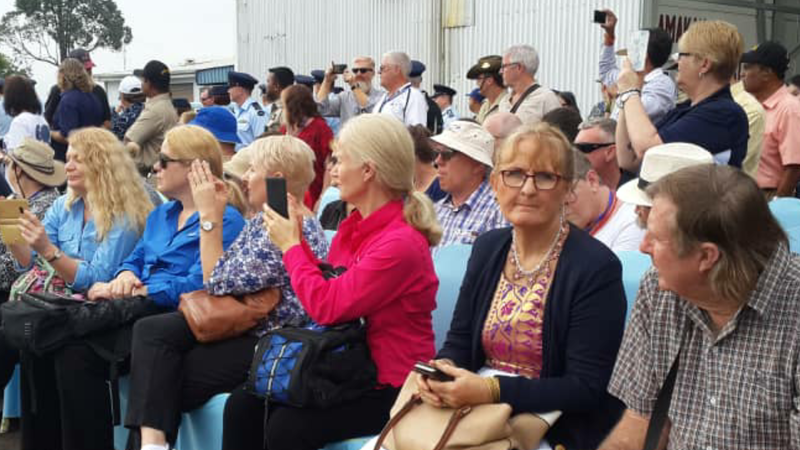 Part of the Australian Air Force Veterans and their families watching the military parade in conjunction with the 60th Anniversary of RAAF in Butterworth Air Force Base on Friday. The event held at Butterworth Air Force Base was participated by 167 air force personnel including 146 from RMAF contingent and 21 from RAAF. Present at the event were the Air Force Veterans from Malaysia and Australia. The Butterworth Air Base that belongs to RAAF has been placed as part of the Strategic Commonwealth Reserve for the usage of the future Australian Air Base in 1958. In 1955, the Royal Australian Force (RAF) has given the operational functions of the Butterworth Air Base to RAAF. The air base includes a 3,000 meter runaway which was built in a north-south direction and still in use today. Affandi added: “The RAAF has given RMAF the space for training in Australia, military courses and also logistic support. The RAAF also gives us technical training when both forces have the same type of airplanes. “The collaboration has also enabled RMAF to participate in the “pitch black training” that will be held in Darwin, Australia in September. 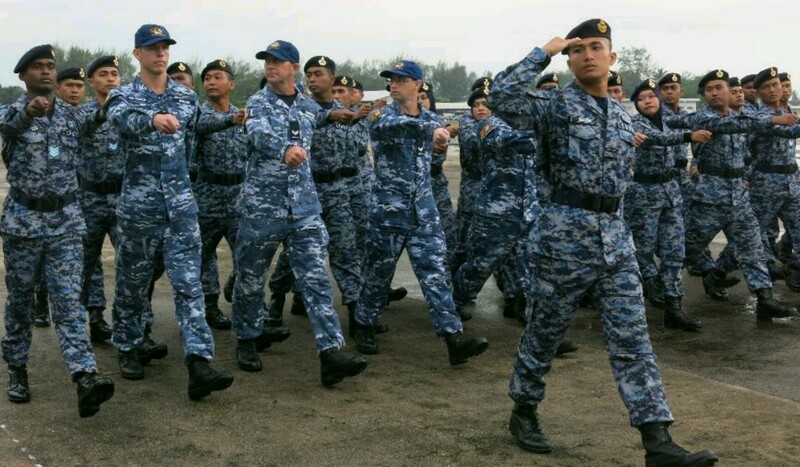 The training will also be participated by Air Forces from Singapore, India, Thailand, Canada, United States of America, New Zealand and United Arab Emirates (UAE). “The training is very important to test our military operational abilities and actions in a conflict simulation which might happen in future. The Australians have a technical range that enables us to simulate the situation in times of war and this is an important milestone for us,” he added. Meanwhile Leo Davies said, the 60 years relationship that has been built between RAAF and RMAF is for a bigger collaboration for the next 60 years. He said, both forces have cooperated in the military operations while they were in the Middle East and that was not thought about 20 years ago. “The good relationship between the two Air Forces was not only built through the academics but also from cultural understanding. “We understand mutually that every nation has their sovereignty to build their economy, tourism and move forward to develop and should not be challenged by others. Every country has their rights to be part of the global progress.